Sometimes in June this year, Hamisa Mobetto took to Instagram and shared a snippet of her first song which is a solo recording. 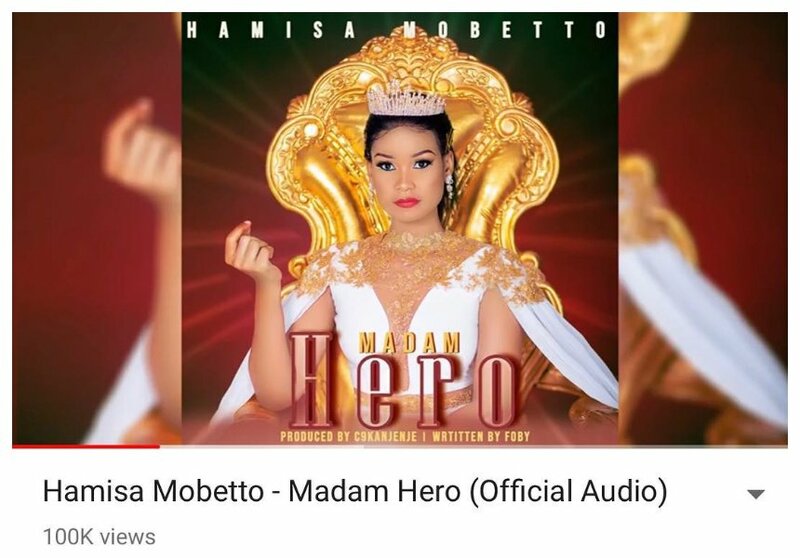 Hamisa’s song ‘Madam Hero’ is a reflection of her own life experience. She said that she had recorded several songs under her foundation which advocates for women’s rights. Hamisa has since uploaded her song (audio) on YouTube and it has received a warm reception. The song has garnered over 100k views in 24 hours. Hamisa Mobetto couldn’t hide her joy after her song got the over 100k views. She took to social media to express her satisfaction with the achievement. “In 24 hrs K views … Ahsanteni Sana Jamani Na Hiyo Ni Audio Tu now Mmetia Moyo Sana Wa Kuachia Na Video Kabisa …. Mungu Awabariki Nawapenda sana .” wrote Hamisa.